Founded by Frank Van Bogaert back in 1980, 1000 Ohm was one of the most succesful Belgian 80’s New Wave bands. Key members were Johan Van Herck on keyboards, Koen Van Assche on drums, Erwin Vermeulen on Bass and Frank on keyboards and vocals. Their best known track and still a New Wave Ever Green up to this day is the 1981 track A.G.N.E.S. 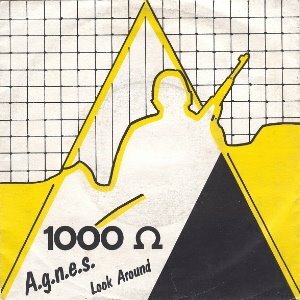 Although the band had more successes like the 1985 charting hit “The Claim”, it’s A.G.N.E.S. the band is mostly being remembered for . In 1987 Frank decided to pull the plug to concentrate on what was to become a very succesful career as producer-sound engineer, later followed by a succesful career in the Electronic music scene. He is now even being considered as one of the main players in the traditional electronic and ambient music scene.